The Cobalt Blue and Silver MOVA Globe brings a decorative flair to the traditional globe design. The combination of deep cool blue and metallic silver makes for a powerful and suave composition that’s reminiscent of fine art ceramics and precious metals. 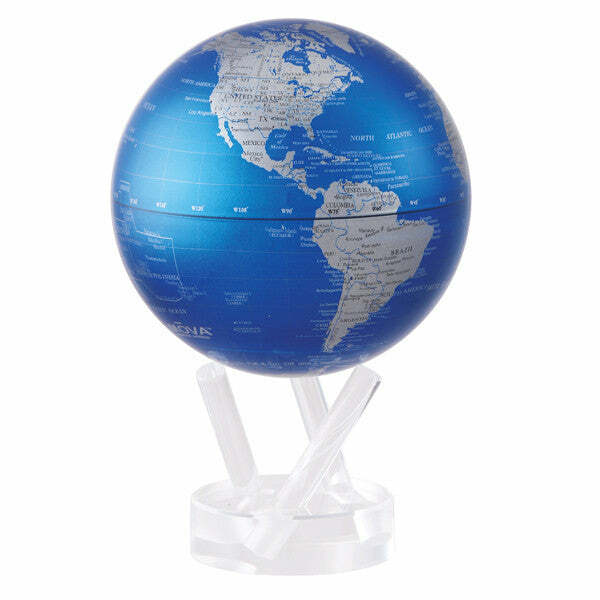 The globe comes packaged with our 3-pronged acrylic base and is available in a 4.5″ and 6″ size.